Disclosure: This shop has been compensated by Collective Bias, Inc., and its advertiser. Soccer mania has hit the world. The Championship Soccer Games going on right now are all the rage, especially here in the U.S. where the sport of professional soccer is relatively new. Growing up in a Cuban household, we didn't follow soccer. It is not a national sport like in other Latin American countries. I didn't even know anything about soccer until Adrian started playing when he was about 4. He played for a couple seasons and I learned a little about the sport. Fast forward to 2014, soccer mania, Championship games, my home team playing and I am now a fan. My family and I have come together to watch the games on TV and of course, where there is a gathering, I feel the need to cook for everyone. I love creating big game recipes. For the viewings, I knew I needed to create easy party food that everyone would love! 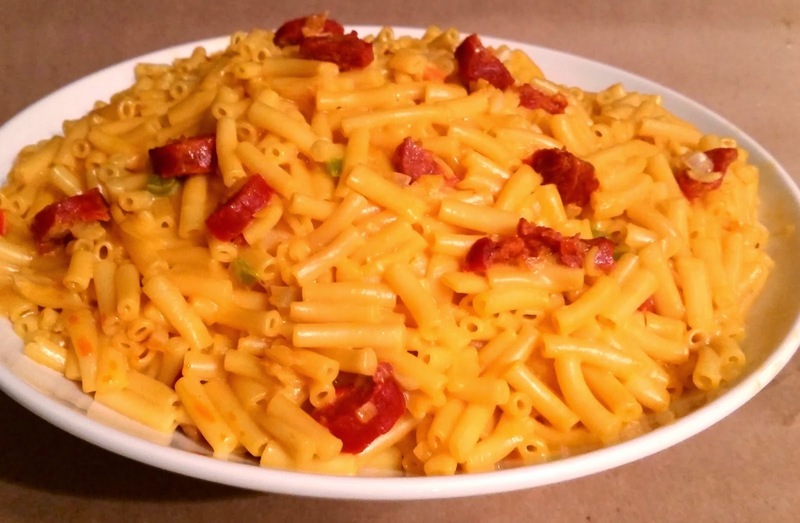 I decided to make a family favorite, macaroni & cheese, with a fun twist. 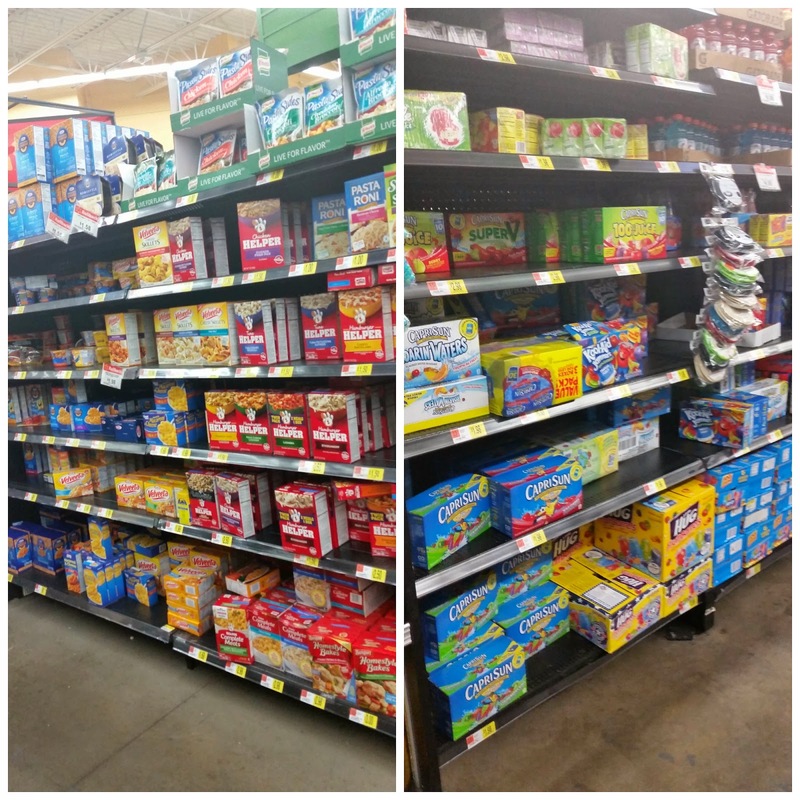 I headed to Walmart to gather everything I needed to make Chorizo Mac & Cheese. 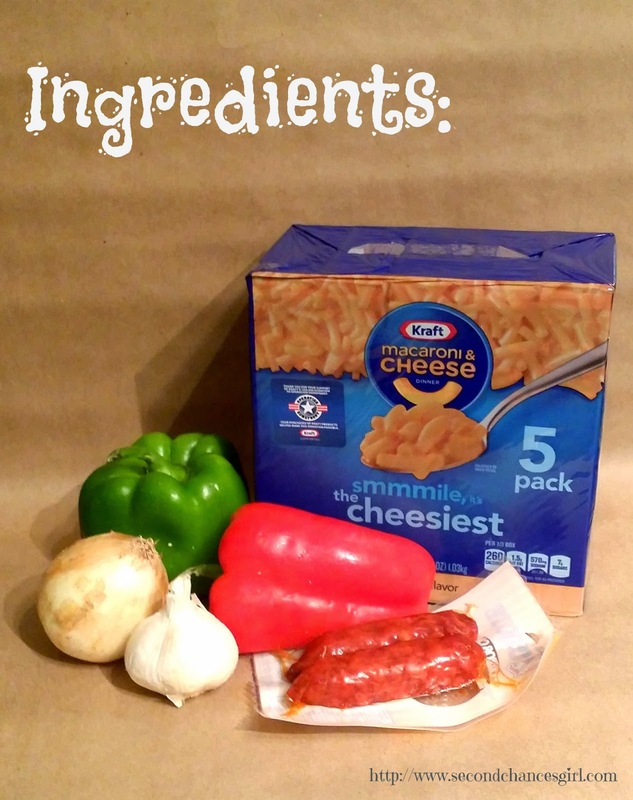 I knew I would be making this recipe for a crowd so I grabbed the 5-pack box of Kraft Macaroni Cheese. I also needed drinks. I grabbed a couple boxes of Capri Sun Fruit Punch. While the macaroni & cheese was boiling, I chopped all my ingredients. Then I added all my chopped ingredients into a shallow pan and made a "sofrito." I prepared the macaroni & cheese according to the package instructions and added my "sofrito" mixture. I mixed it all together and in less than 15 minutes made Chorizo Mac & Cheese! 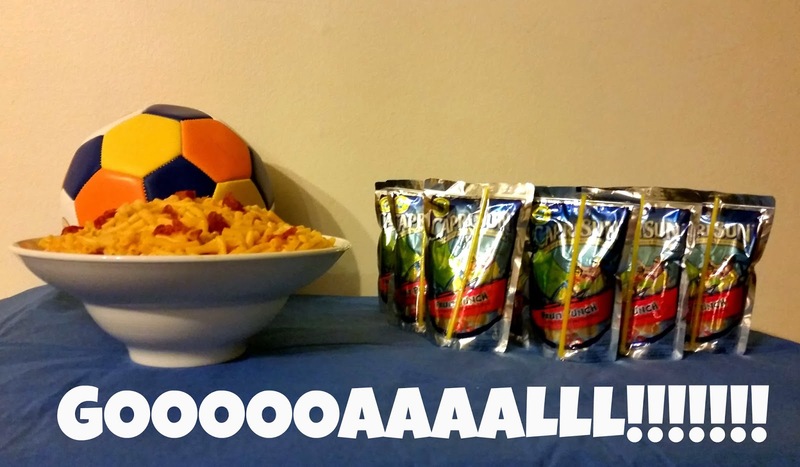 I setup my Chorizo Mac & Cheese and the Capri Sun on a table close to the action! As a mom, I prefer to make my family food than to purchase food but I don't have the time to make juices. 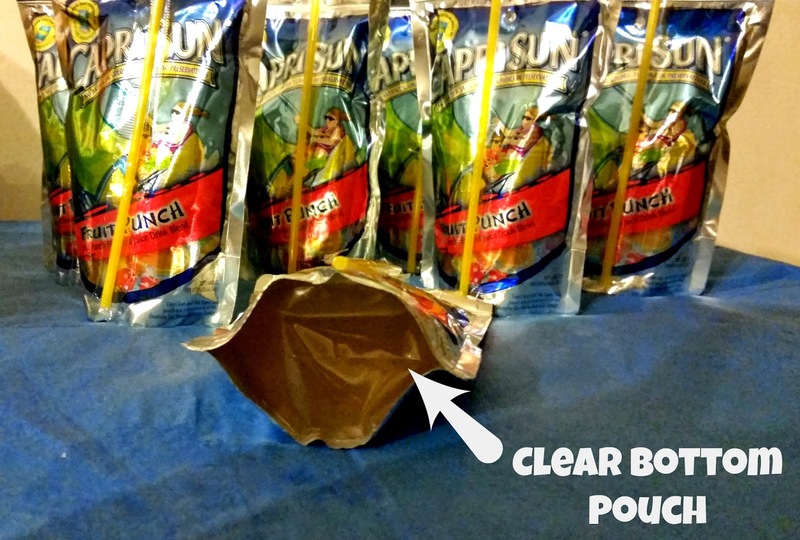 I love the new clear bottom pouch on the Capri Sun drinks. I can see exactly what's inside, juice my family loves! 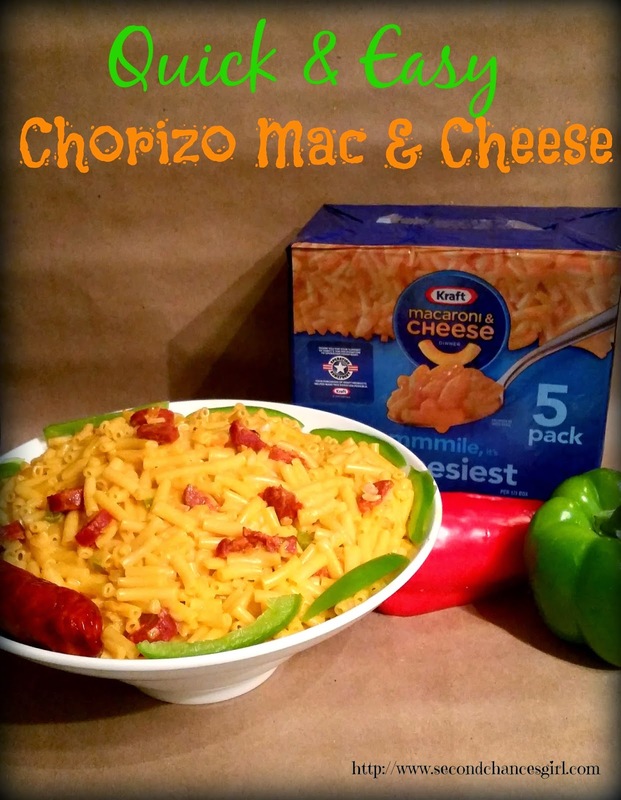 Here's the complete recipe for my Chorizo Mac & Cheese. It's a quick and easy recipe that I'm sure your family will love! 1. Over-estimate food and drinks. I usually estimate a 3-1 drink ratio per person and 2-1 servings for food. 3. Use disposable items, when possible. Makes clean-up a lot quicker when you are exhausted. 4. Include yourself in the party. If you are hosting a viewing party, watch what is on the screen. If it's a kids party, jump in the bounce house. Make sure you enjoy the event. Don't just watch from the sidelines!! Prepare macaroni & cheese according to package instructions. Meanwhile, add olive oil, onion and garlic to shallow pan over medium-high heat. 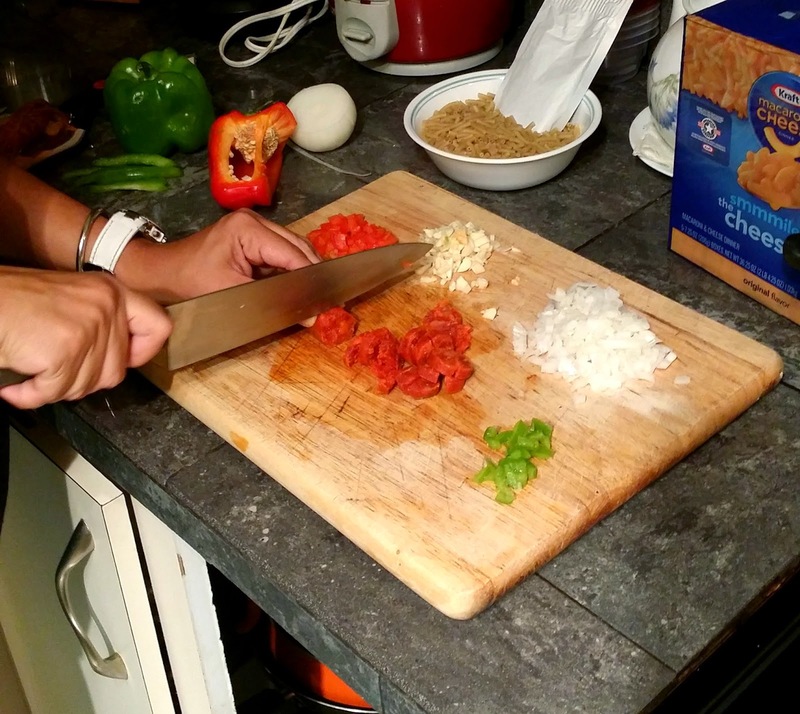 Once onion has softened, add red and green peppers and cook for about 2 minutes. Add chorizo and cook for another 5-6 minutes. Add mixture to macaroni & cheese and mix together. Serve warm. Are you watching any of the soccer games? 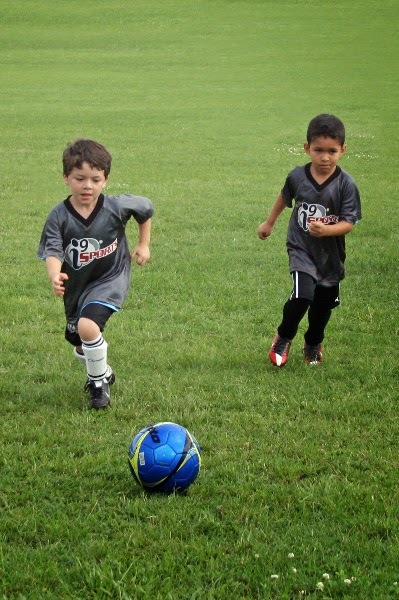 Do your kids play soccer? I love chorizo! My son would love this. My daughter doesn't yet recognize how awesome meat is in mac and cheese. this looks so good! Will try it! I love chorizo so much, I can hardly wait to try this out. Thanks for the great recipe idea.